Hm. You say you often lose track of your child? That one second they are there and when you turn around they're not? That they move with surprising stealth, sneaking up on you when you don't expect it? Well, there seems to be a simple answer. Your child is a ninja. Sure, normal kids can be sneaky too, and some even disappear on occasion. But yours sound far too good at it. Like they've been practicing. Or studying the secret art of Ninjutsu. It should be pretty easy to figure out. Do they have viper fast reflexes? Say if you throw cheese at them will they catch it without even looking? Can they turn anything into a weapon? Like a seemingly innocuous hairbrush used to torture a sibling? What about their wardrobe? Do you find excessive dark pants, shirts, and masks? If you answered yes to these things, your child is totally a ninja. And if they are, trust us on this one, it's better to embrace their martial artistry. After all, it could be useful to have a stealth master at some point. 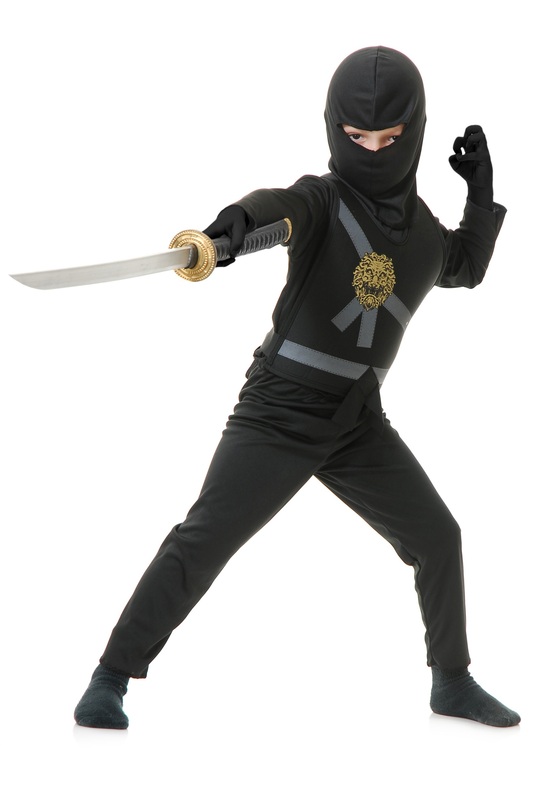 In order to show your support, consider getting them our Black Ninja Master Costume. It comes with pants, a pullover shirt, a vest printed with a lion emblem, and a hood that covers almost their entire face. We even carry this thing in different colors. This way, at least you can tell when they're in ninja mode.